Clarksville, TN – One could smell the aromas in the air before arriving at Hilltop Super Market’s 4th annual BBQ Cook-Off Saturday. The grass area in front of the market was filled with tents, grills, barrels and all kinds of barbecue cooking equipment. People from miles around come out to the BBQ Cook-Off. There was plenty of food to be had as most of the grillers were selling barbecue as well as competing. Anything from bbq sandwich, hamburger, hotdogs, ribeye sandwiches, bbq by the pound, etc were available for purchase. 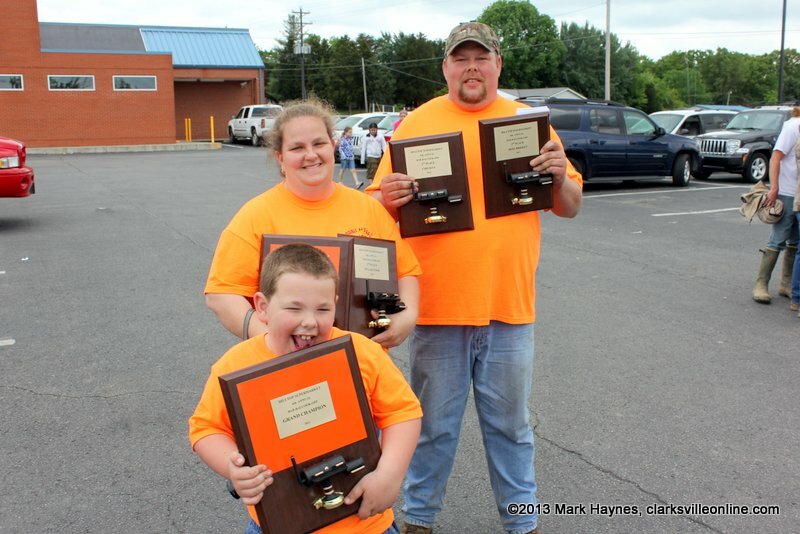 Double A’s BBQ won Grand Champion at the 2013 Hilltop BBQ Cook-Off.